Disney has plans to team Tom Hanks up with Tim Allen again, this time for a movie version of the Magic Kingdom ride Jungle Cruise. As Deadline reports, Disney&apos;s plan is to have Hanks and Allen star in the live action film. Jungle Cruise the ride, in case your childhood didn&apos;t include trips to Disneyland, is designed to simulate a riverboat excursion through the major rivers of Africa, South America, and Asia. There&apos;s no word yet on exactly how the movie will adapt that set-up, but it&apos;ll no doubt be catered toward the whole family. 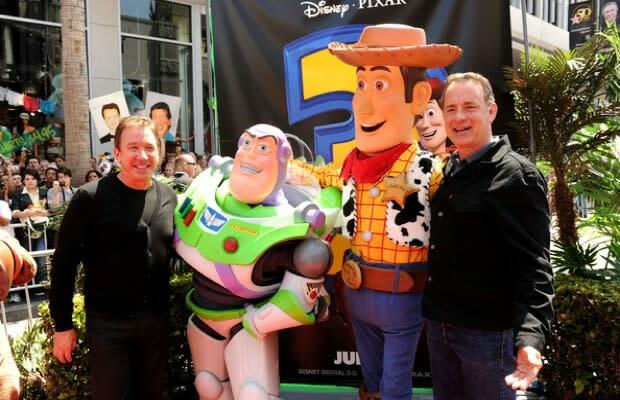 Of course, this isn&apos;t surprising to anyone who knows how Disney rolls; the Hanks and Allen’s last collaboration, Toy Story 3, has made over a billion dollars worldwide since its release last June. In the same breath, the studio&apos;s last amusement park ride inspired movie, Pirates of the Caribbean: At World&apos;s End (part three in the Johnny Depp-led franchise), also made a killing at the box office, so much so that a fourth entry, Pirates Of The Caribbean: On Stranger Tides, will hit screens in May. Add up those factors and Jungle Cruise sounds like another win to us.